This is the way to open the door to endless possibilities — deeper relationships, higher satisfaction for your career, pursuit of your personal goals with greater zest! Note: If you are interested in the event but you cannot travel to Los Angeles, call (800) 912-0510 to find out how you can attend the seminar from any laptop, tablet or your phone. 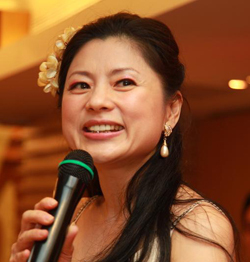 You can listen, see and interact with Hellen Chen from the comfort of your location. See you at the Hellen Chen’s Love Seminar!